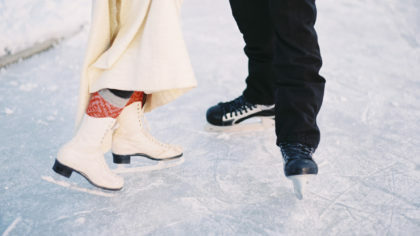 The whole world is abuzz over the upcoming nuptials of Prince Harry and Meghan Markle – The biggest wedding event of the year! 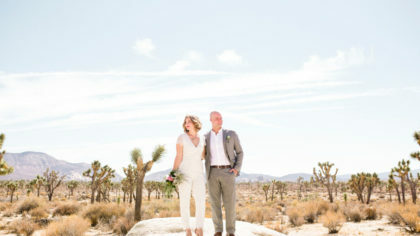 Everyone’s dying to know all the dreamy details that will make up their Royal Wedding day. From the location all the way to the wedding cake, its the topic of conversation just about everywhere we turn! 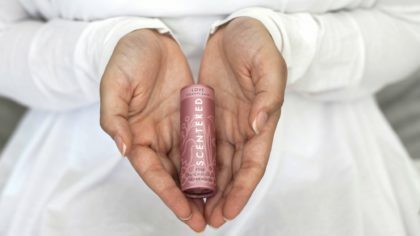 With all this royal wedding talk, it’s bound to have our minds wandering to all the glittering possibilities of our own walk down the aisle. 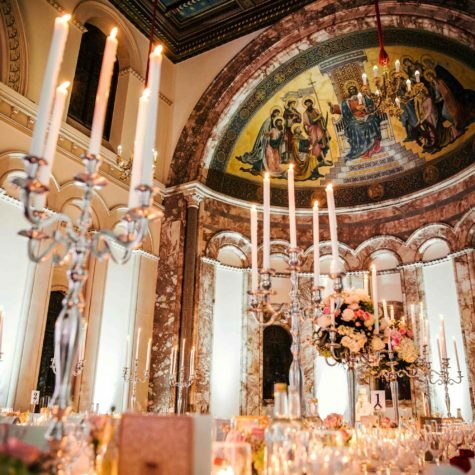 Although we may not be as lucky as Meghan, marrying a prince, there are ways to recreate the luxurious and exclusive ambience of a truly grand wedding day. 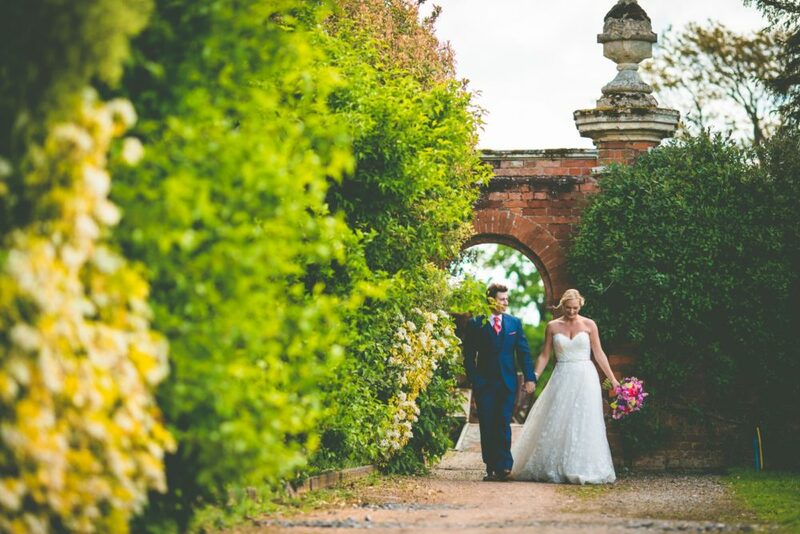 Welcome to the fairy-tale setting of Stansted Park. 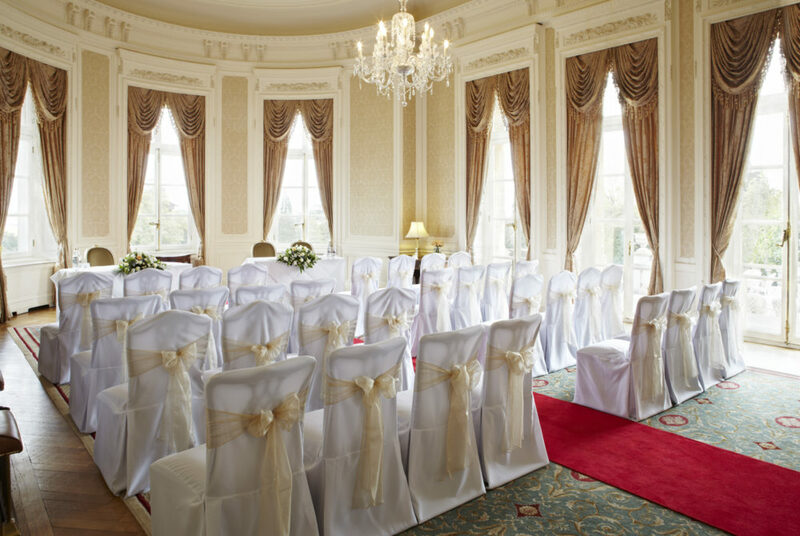 This historic Edwardian house, with its elegant interiors, classical architecture and sweeping parklands can be yours exclusively for your special day. 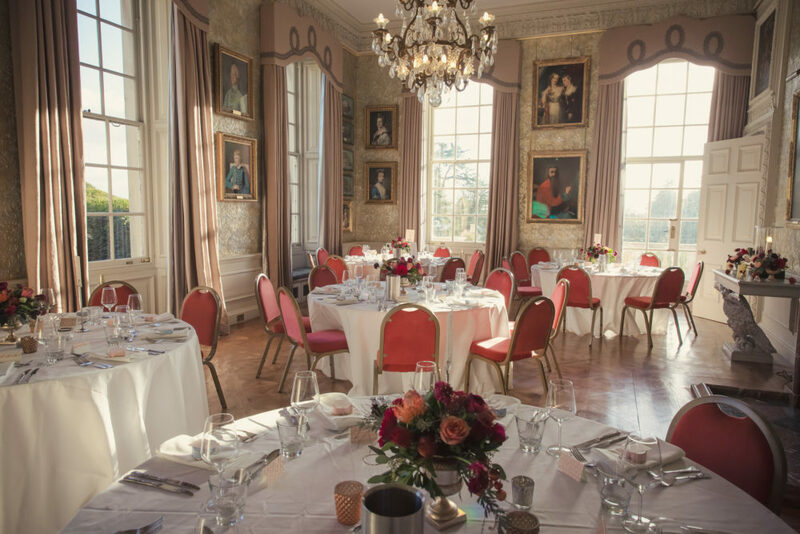 Stansted House is set in over a thousand acres of the South Downs National Park, with far-reaching views across open countryside and ancient woodland. 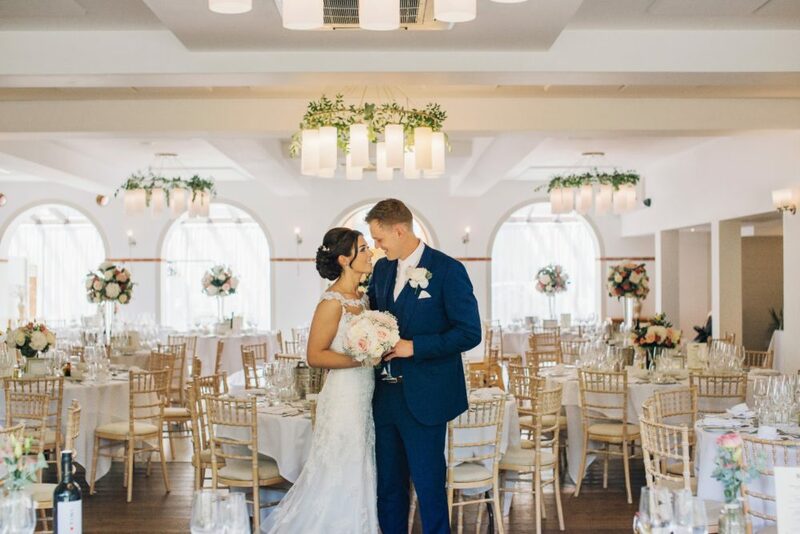 This former home of the Earls of Bessborough is ideal for those wanting the personal touch for a ceremony, from the blue vaulted ceiling and stained glass of the private chapel to the lavish furnishings of the Music Room. 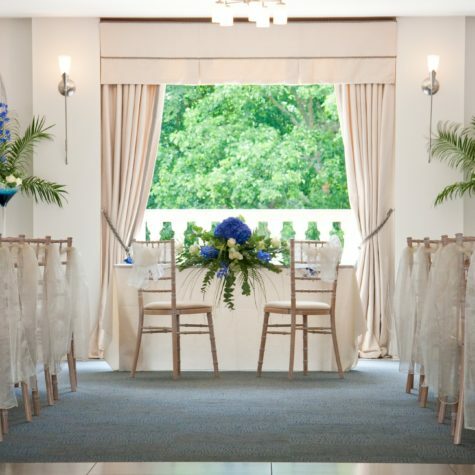 The historic grandeur of the Blue Drawing Room lends itself perfectly to a formal wedding breakfast with glass doors leading to a south-facing terrace. 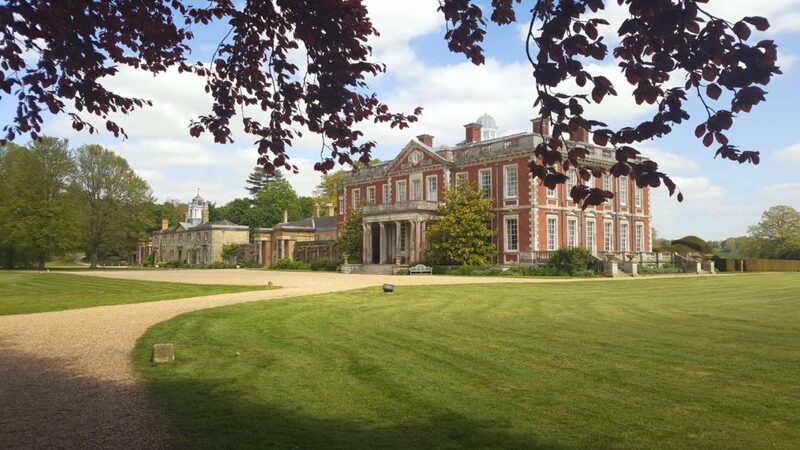 The large South Lawns offer a quintessentially English setting for a marquee where larger parties can dine and dance into the night. 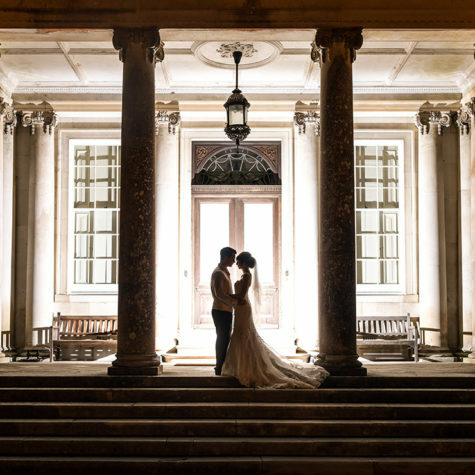 The classical Italian portico at the main entrance provides a unique backdrop for photographs and is the perfect place to raise your glasses as the sun sets behind the cricket pitch. The newly-furbished Anchor Suites offer the very best of modern comfort and convenience within the traditional architecture of the old stable block. Let only exclusively, these four bedroom suites offer friends and family the chance to stay with you on site for dinner the night before or champagne brunch as you prepare for the big day. 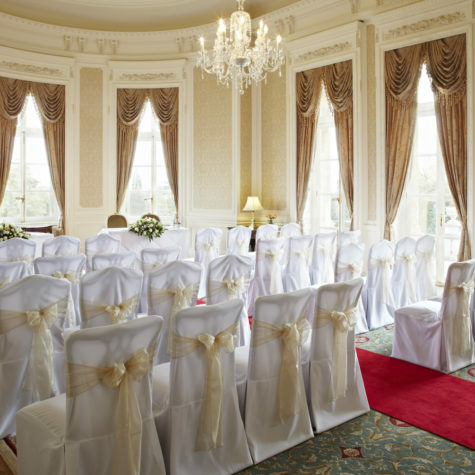 The exquisite bridal suite, set in the heart of the mansion house, completes your exclusive experience at Stansted in grand style. Yours to use as you wish during the day, this beautiful room offers stunning views along the west avenue – or just space to breathe and take time out during the day. At the end of your perfect day, climb the magnificent staircase to your private, en-suite room. There can be nowhere more romantic to spend your first night as husband and wife. 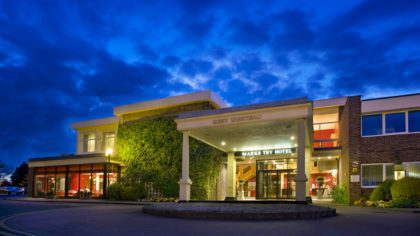 For more details about the options for pre-wedding dining and staying with us overnight, please call us at any time. 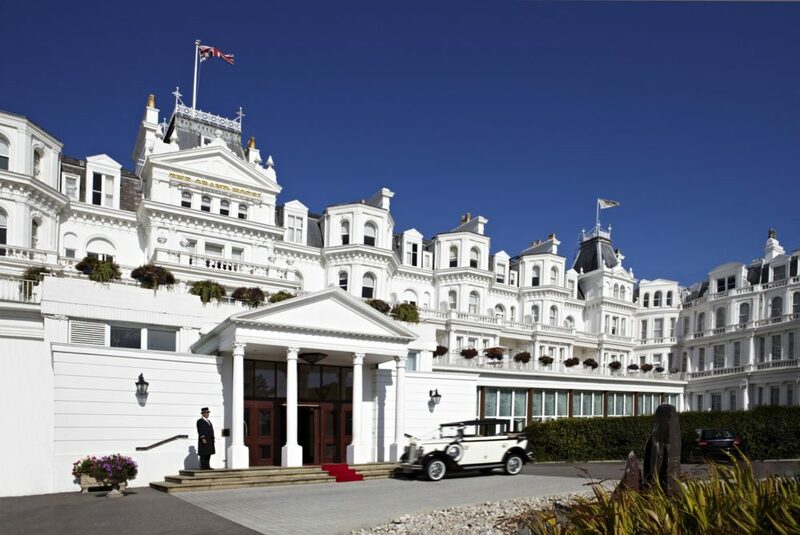 The Grand Hotel Eastbourne, affectionately known as ‘The White Palace’, stands imperiously as the only five-star hotel on the English seaside, one of the most beautiful and romantic wedding venues in Sussex. 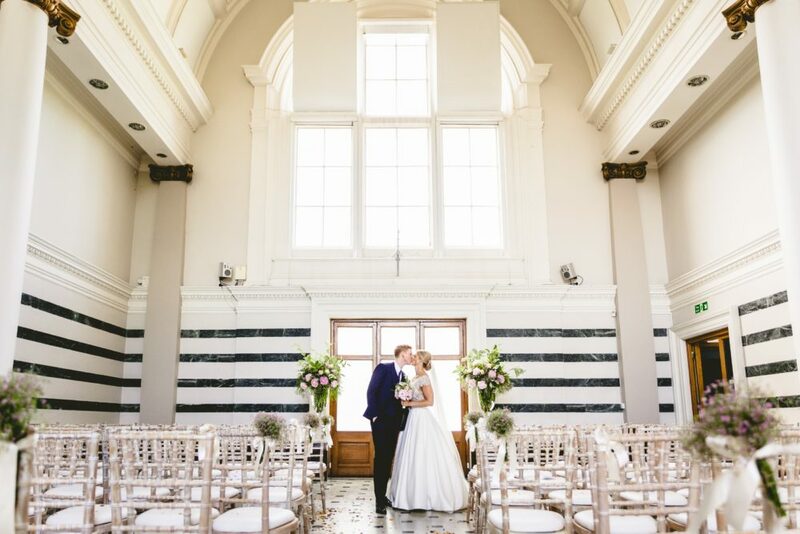 Impressive 19th century architecture, soaring pillars, glittering chandeliers, marble fireplaces and panoramic views from its seafront setting provide a magnificent air of grandeur, elegance and excitement for your special day. A red carpet arrival leads to a very grand entrance indeed, and beyond lie 152 luxurious bedrooms and suites, many enjoying sea view balconies, health club & spa, two pools, two award-winning restaurants and a cocktail bar. 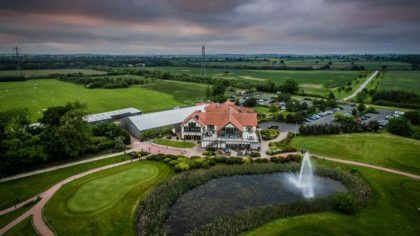 Drinks receptions on the putting lawn or terrace too – a perfect choice for weddings and civil partnerships with meticulous attention to detail and an air of exclusivity for the whole wedding party to enjoy! 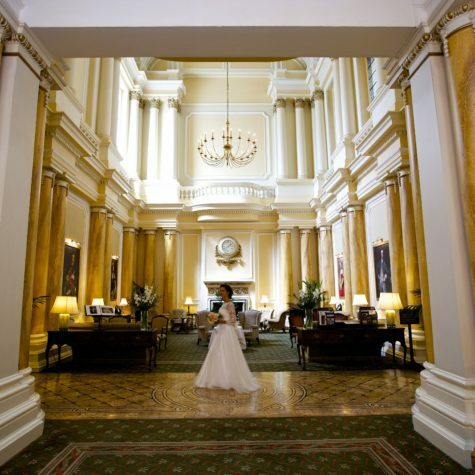 Make and capture memories in the Great Hall with its splendid marble colonnade, fine galleries and beautiful reception rooms with inspired packages or bespoke opportunities available from intimate gatherings to lavish banquets… and wedding coordinators to expertly guide you. 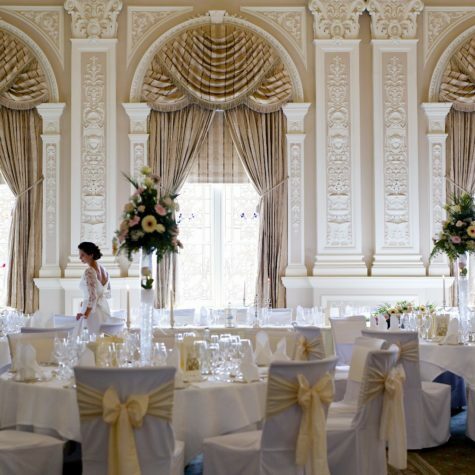 The Grand’s Wedding Showcase on 23rd September will inspire ideas for your own stylish plans… an ideal excuse to have a look around this magnificent setting; a spectacular day awaits. Picture the scene… Prince Harry & Meghan Markle decide to break with tradition and get married in a Tuscan Villa instead. The problem? Getting their entire guest list over to Italy for the big day. 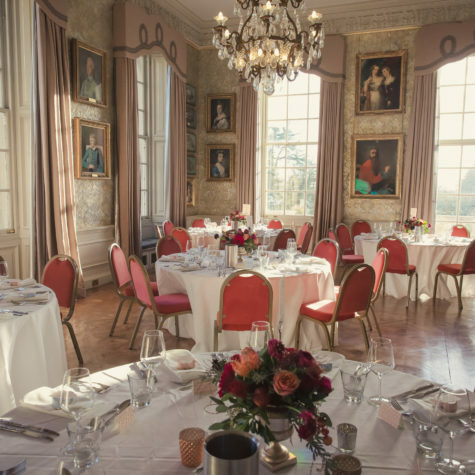 Fortunately for them, there is The Italian Villa based on her Majesty’s south coast in Poole, Dorset – the ONLY Tuscan-styled venue of its kind anywhere in the UK. 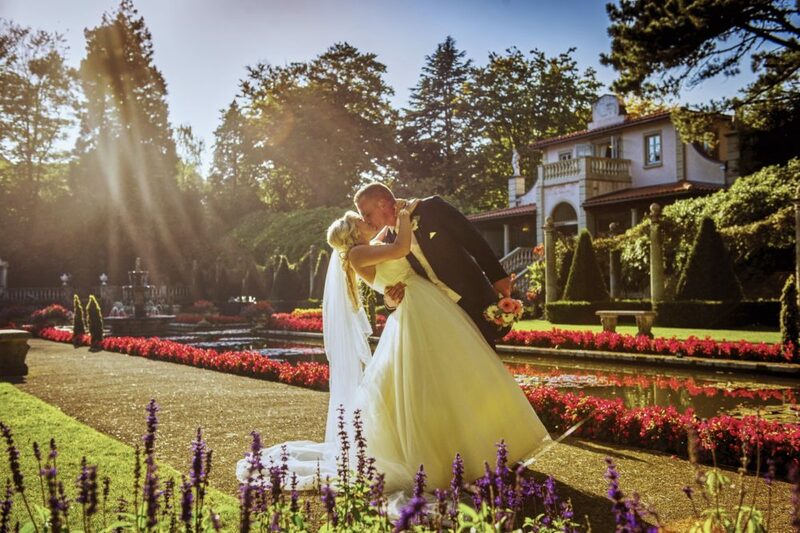 Set upon 10 acres of stunning manicured, themed gardens at the renowned Compton Acres, there are countless locations and options for those all-important wedding photographs. Not to mention being just two minutes from blue-flag beaches at Sandbank. 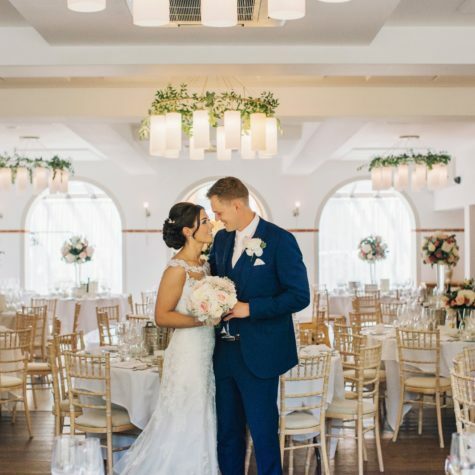 The Italian Villa is exclusively hired, and is set over three spaciously elegant floors, meaning that everything is self-contained (and entirely private – perfect for keeping those pesky royal paparazzi at bay!) 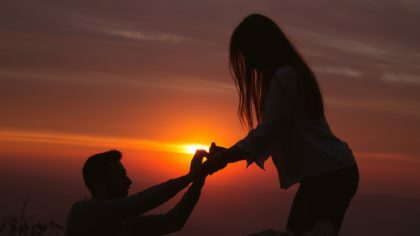 Harry and Meghan could then decide whether to keep it intimate for 65 guests or whether to have the full 180 that the Villa can comfortably accommodate. 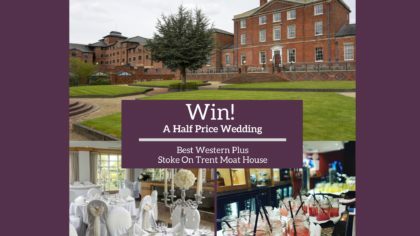 As for the all-important wedding breakfast, the catering at the Villa is second to none, provided by Beales Gourmet Catering – the multi award-winning event caterers who also manage this stunning venue. 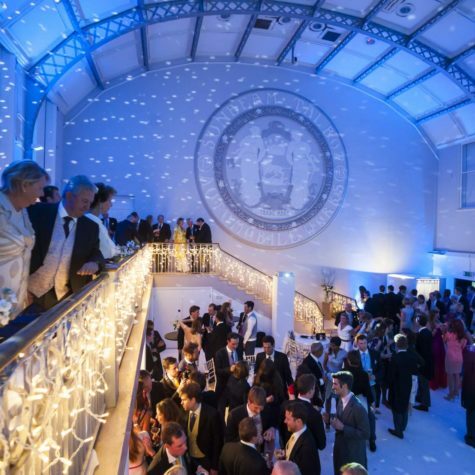 So, is it a venue fit for royalty? One would certainly approve! 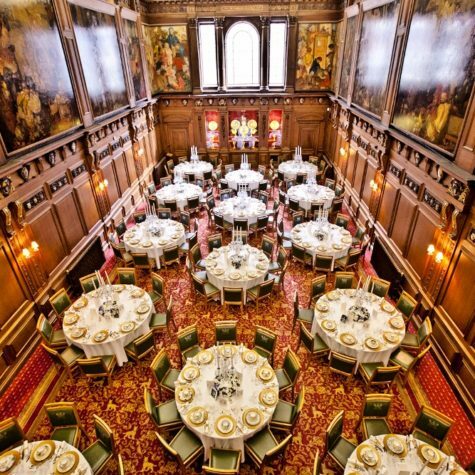 Skinners’ Hall is one of the City’s most beautiful hidden gems and dates back to 1670 – making it 33 years older than Buckingham Palace, coincidentally the same age as Prince Harry will be on his wedding day! 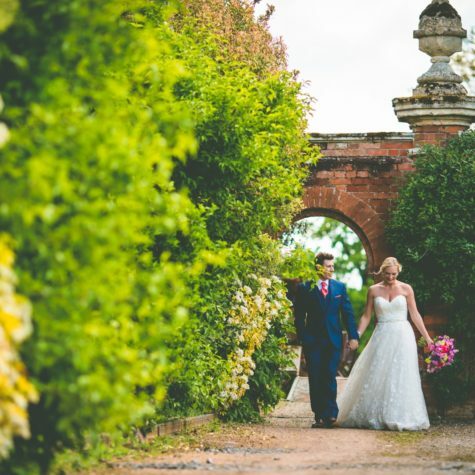 The Ceremonial entrance gates welcome guests into the courtyard, as they move through to the beautiful Outer Hall for your wedding ceremony, complete with an open fire for Winter weddings. 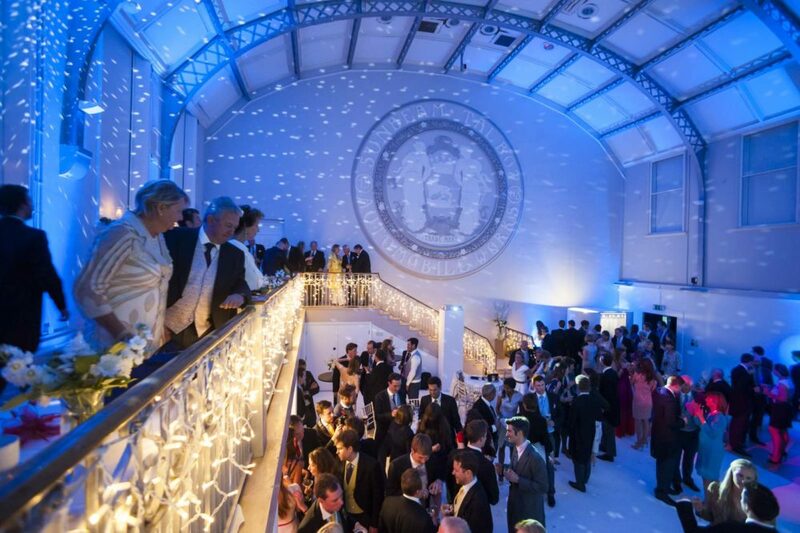 Weather-permitting, guests can venture out for drinks & canapes onto the Italianate Rooftop Garden, designed by previous Chelsea Flower Show Gold winners. 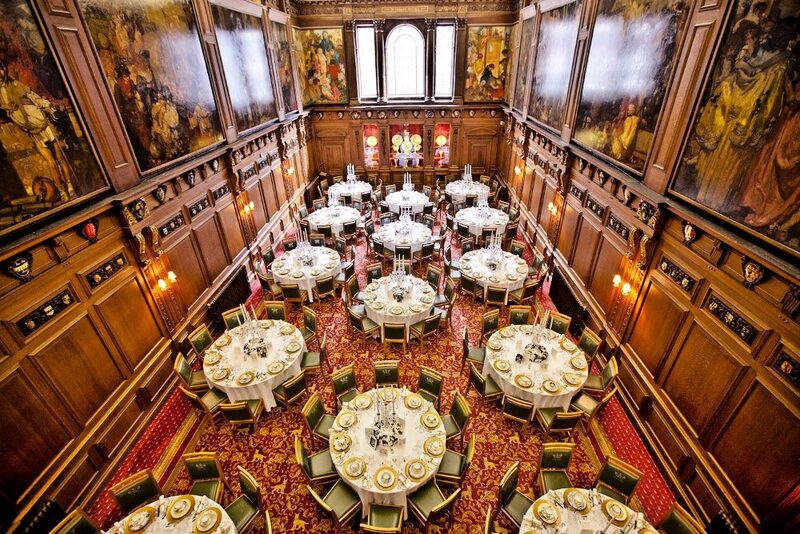 Once formal photographs have been taken, guests can take their seats in the opulent Great Hall for your main meal. 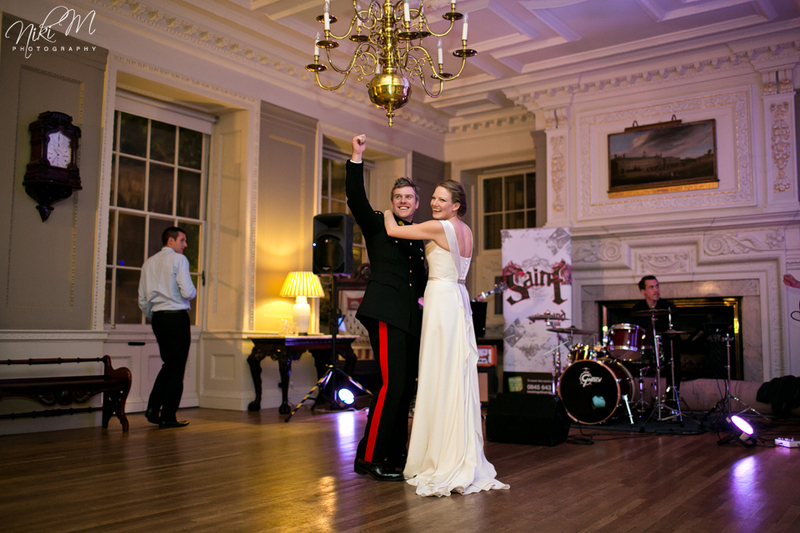 Finally draw your guests to the Old Court Room for your first dance as a couple, and party the night away! 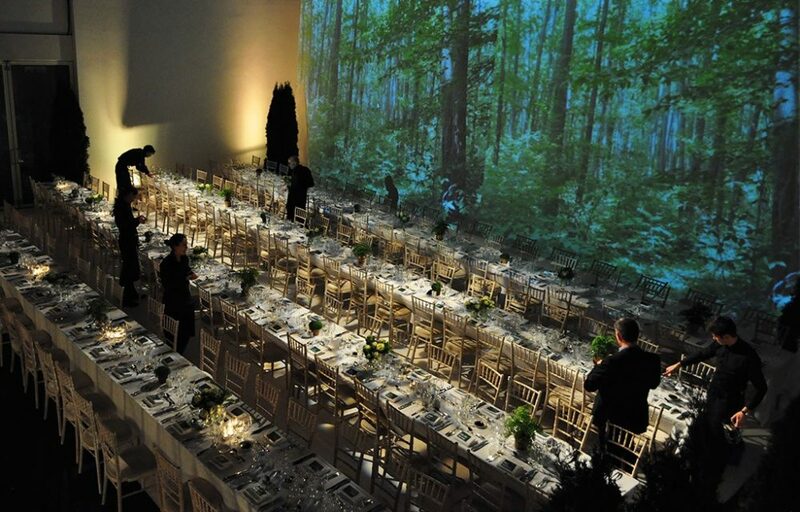 The onsite events team ensure all couples and their guests are treated like Royalty and work with innovative chefs to create a menu you will never forget. 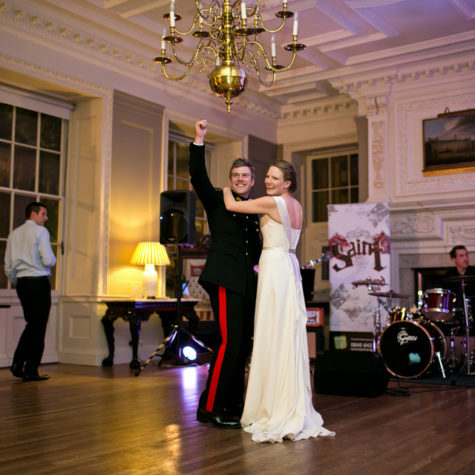 From relaxed BBQ-inspired dining in the summer, to a more formal – yet whimsical – seated 3-course meal for a Winter Wedding, Skinners’ Hall is the perfect setting to say ‘I do’. 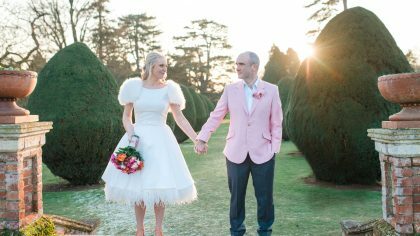 The Elvetham in Hampshire is a beautiful, family-owned estate, and ultimate venue for an exclusive-use wedding. 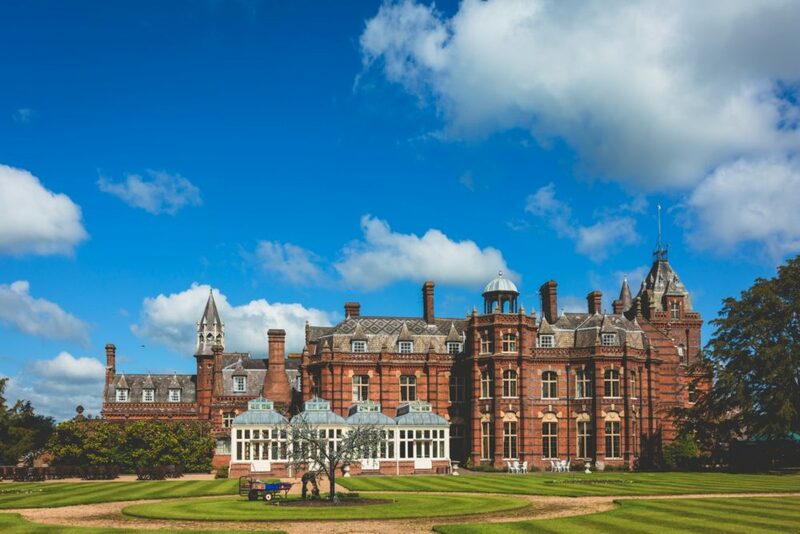 Set in 35 acres of stunning grounds and surrounded by the 8,000-acre Elvetham estate, The Elvetham provides the ultimate in privacy and exclusivity. 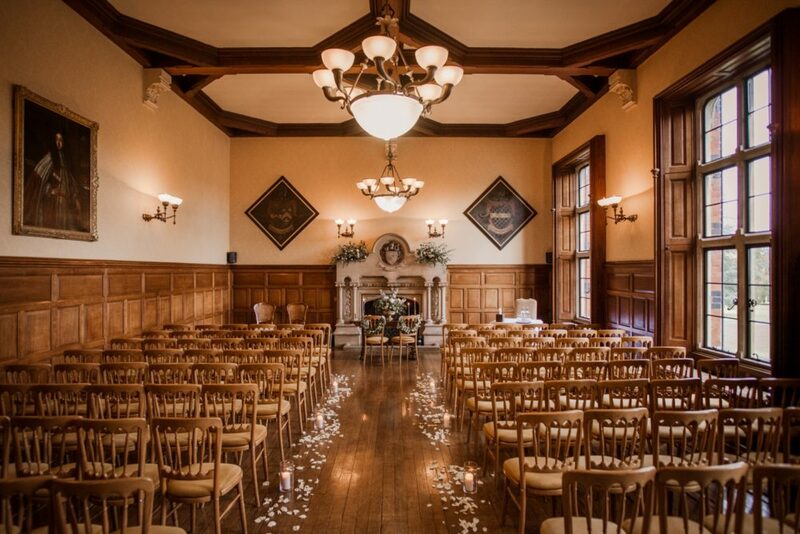 The Elvetham has connections to royalty throughout history, most notably Jane Seymour and Queen Elizabeth I, and to this day the surrounding of the historic building and gardens have a very regal feel. The main house was built in 1860 and is a stunning example of Victorian architecture. 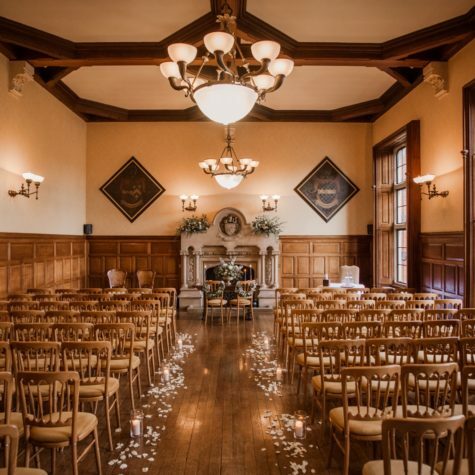 Inside a host of private rooms with stunning original features including oak panelling and feature fireplaces make the perfect backdrop for the most special of days. 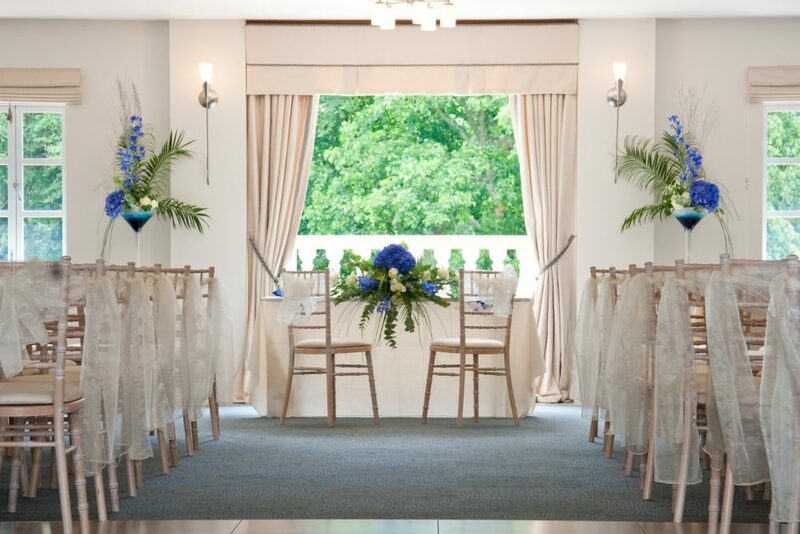 Licensed for civil ceremonies for up to 120 guests you can choose to host your ceremony in one of the elegant rooms or in the outdoor Summerhouse. 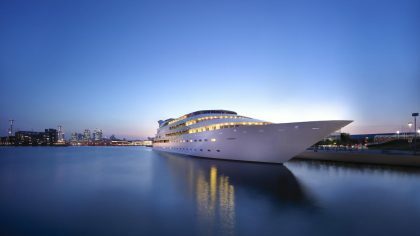 The 72 bedrooms offer the perfect place for you and your guests to retreat following a day filled with celebrations. 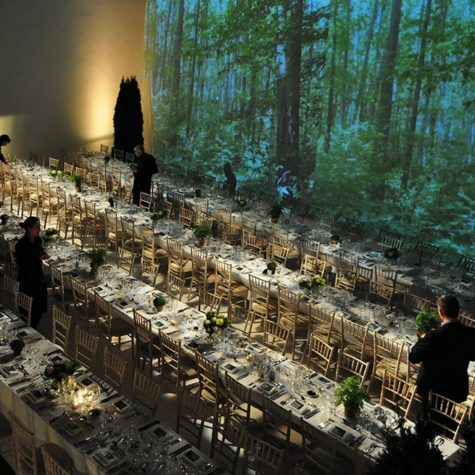 Every detail of every wedding is handled by a Wedding Specialist and run by a highly praised and experienced team. 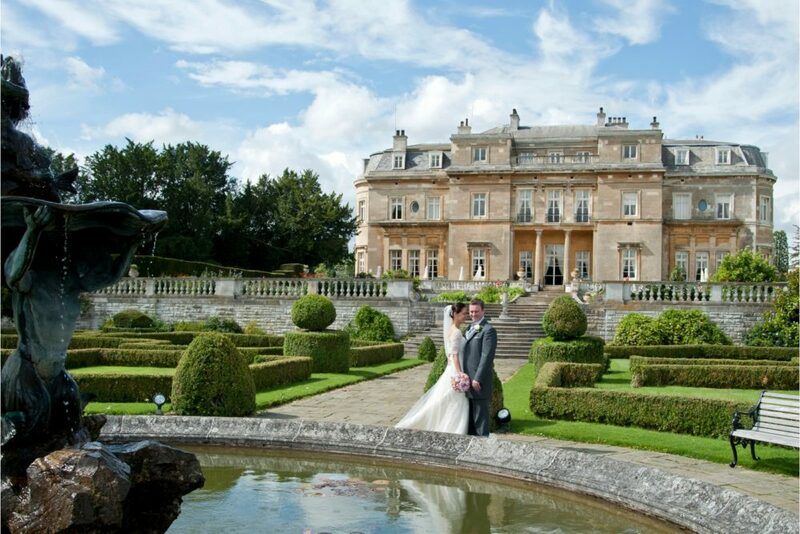 The Grade 1 listed Mansion House at Luton Hoo is one of the most elegant and impressive looking wedding venues in Bedfordshire and Hertfordshire. 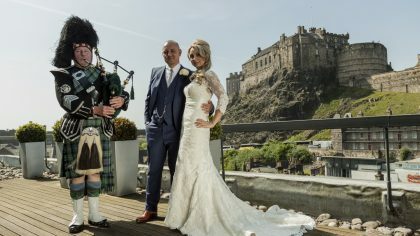 It caters for ceremonies of all types and sizes; from intimate weddings and civil partnerships for 20 people, up to lavish celebrations for 120 guests. 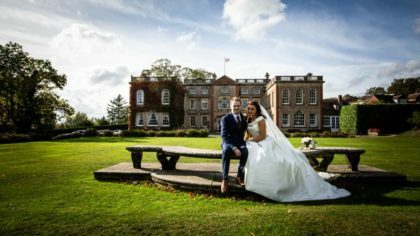 With 10 luxury wedding suites licensed for civil ceremonies, as well as a Russian Orthodox Chapel, the Mansion House offers a variety of beautiful settings and stunning backdrops for your perfect Country House wedding. 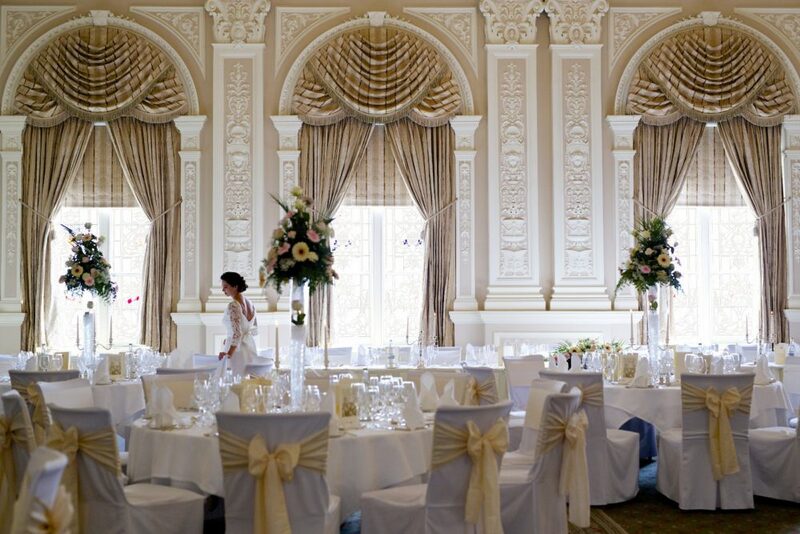 Luton Hoo has long been considered a grand & romantic hideaway, with Queen Elizabeth and the Duke of Edinburgh enjoying a visit as part of their honeymoon, and often returning to Luton Hoo in the early years of their marriage to celebrate their wedding anniversary. 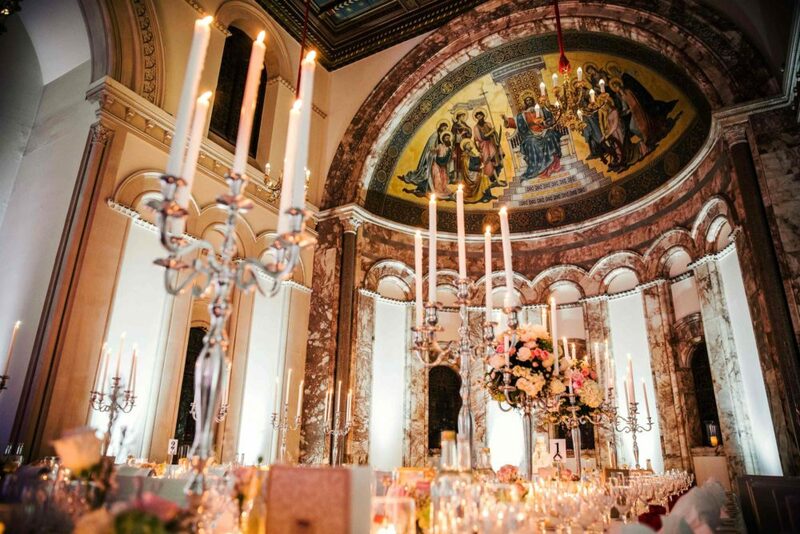 It would seem that weddings and civil partnerships at Luton Hoo come with a certain Royal approval. 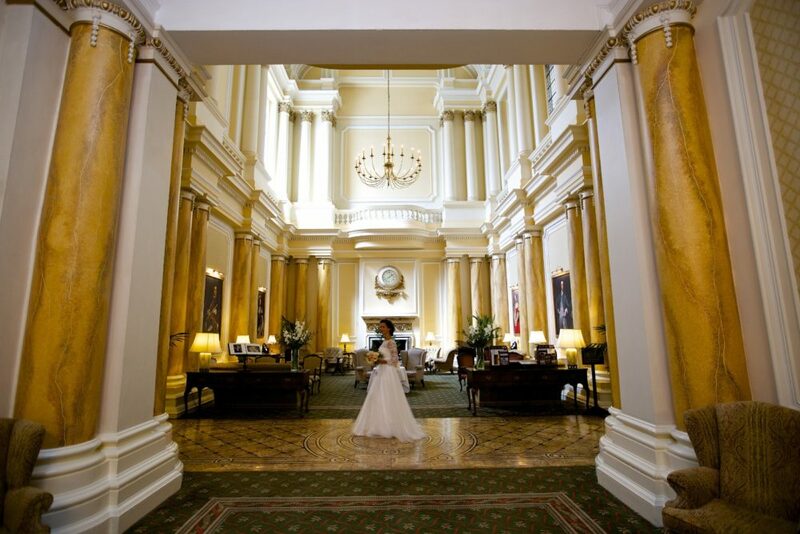 Couples can choose between the five star Mansion House with its royal history, marble interiors and beautiful period rooms and the exclusive use wedding venue Warren Weir. 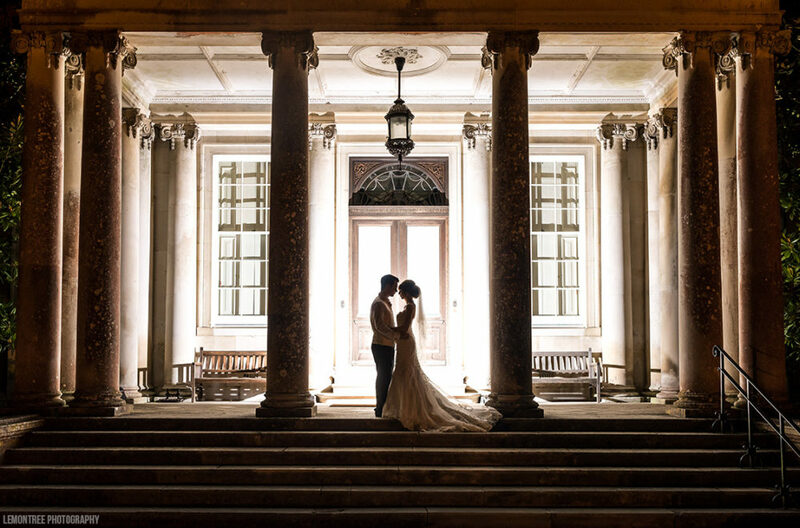 The history, romantic charm and elegance of the Mansion House and the stunning gardens at Luton Hoo are enough to make anyone feel like royalty on their wedding day. 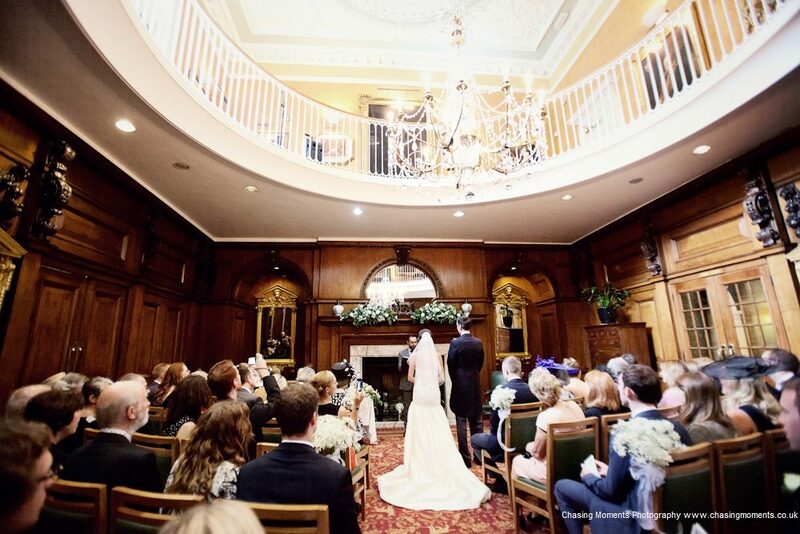 Sunbeam Studios gives you the chance to get married at one of London’s foremost photographic studios. 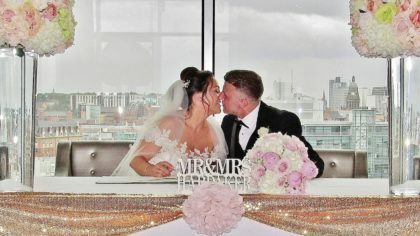 Sunbeam not only provides a blank canvas space for international fashion shoots and celebrity portraiture but a contemporary backdrop for your special day. Sunbeam Studios is made up of three large halls. Talbot Hall, Main Hall and Rootes Hall all connect via the mezzanine level, with grand staircases descending into Main and Rootes Halls, both of which open on to their beautiful private gardens. While Talbot Hall boasts luxurious period features and marble floors, Main and Rootes Hall are injected with a more modern industrial style with expansive white infinity coves. 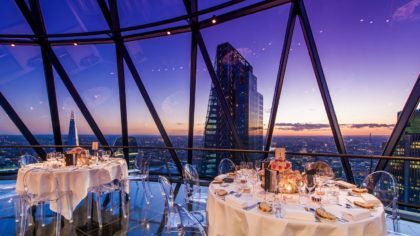 Sunbeam is a flexible venue that can be tailored to your needs with capacity for up to 230 for reception and 180 for a sit-down dinner, offering inclusive packages complete with exclusive private venue, luxury menus and bespoke event planning service. 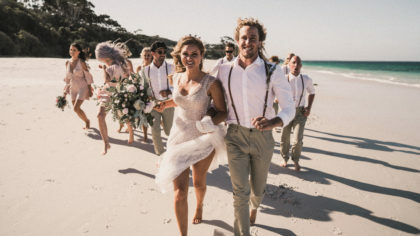 Combined with their roster of excellent suppliers, they will create your perfect day for you, keeping your creative vision while you remain stress-free.